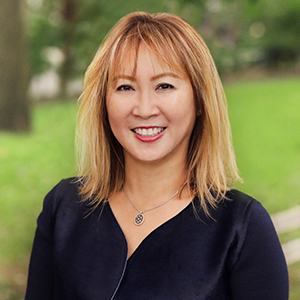 With a flair for client service and a solid business background, Alvina Chiu is devoted to helping clients make their New York City real estate dreams a reality. Having bought and sold her own apartments several times, she knows firsthand how stressful the process can be, and more importantly, she understands the difference a competent and confident agent can make. Insightful, resourceful and possessing sound judgement in all matters, Alvina becomes each client's determined ally and champion. And, as a former a high-yield analyst in institutional fund management, she lends a deft understanding of numbers, attention to detail and a focus on thorough research to every transaction. Originally from Taiwan, Alvina has resided in New York City for more than 35 years and speaks both Mandarin Chinese and English fluently. She studied piano at the Juilliard School and received her MBA at NYU Stern School of Business. Alvina resides in the Lenox Hill neighborhood where she enjoys the quiet residential atmosphere, beautiful architecture and proximity to Central Park. In her free time, she is an avid tennis player and skier, and with a passion for the performing arts, you will often find her attending concerts at Carnegie Hall or Lincoln Center. Alvina is a member of the BAHAR Team.